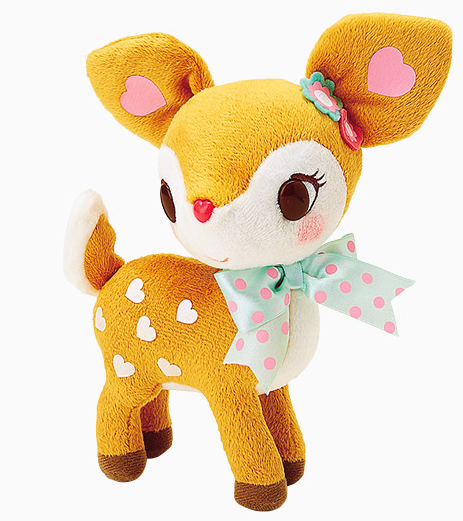 Hummingmint is a small fawn girl who loves to sing songs. Her charm point is her pink heart nose and white heart pattern. She is January's stylish character debut! 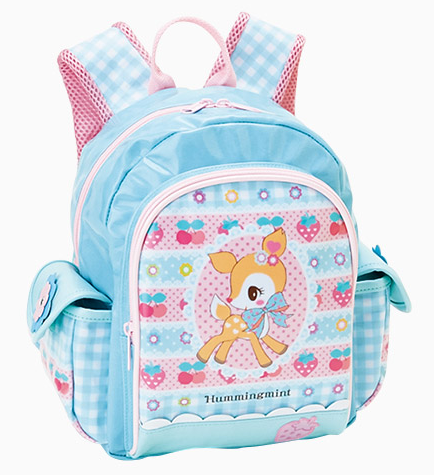 Hummingmint is not the first deer Sanrio character. Deery Lou, a brown, male deer character, was created in 2002 but I have not seen much of his merchandise in the past few years. Deery Lou's color scheme is a lot more vibrant than Hummingmint's whose signature colors and product designs remind me a lot of Swimmer brand items. There is already a selection of merchandise available, all of which I am quite taken with. My sweet friend Kaley already bought me this cup and chopsticks set as a gift! I still have my heart set on getting the little plushie and a backpack to use when I go out with my camera. Check out the new Hummingmint merchandise here! Ahh yeah I am def with you on the plushie. Sugar Bunnies are so cute but like you said, so many to choose from! This is my first time hearing of this new Sanrio character! 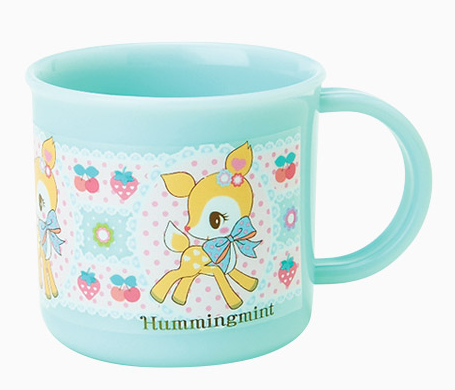 Hummingmint looks adorable~ ;u; and the merchandise is so cute!! <3 Thank you for sharing, Carly!